An ancient Japanese prophecy foretold that when the Masters of the Four Winds unite, they would become unstoppable. Instead, the four masters killed each other in battle, proving the prophecy false. More than 600-years later, an ancient shuriken is unearthed, releasing the spirit of one of the masters to seek out and resurrect the other three in order to fulfill the prophecy. Now, the only thing that stands between the undead ninja and the destruction of the land of the living is... the Ghostbusters! 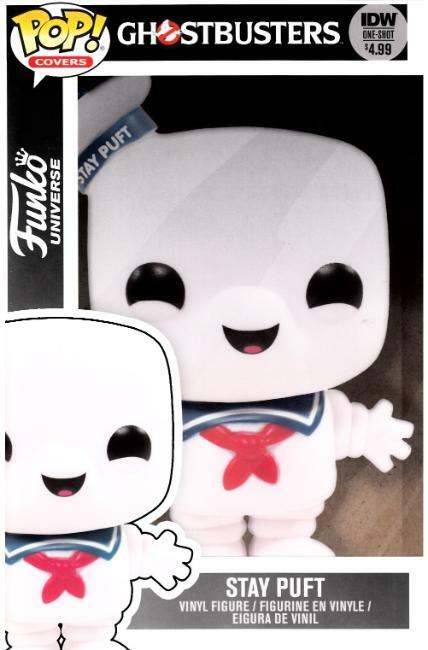 • Part of this month's big FUNKO UNIVERSE event! • Fresh off the successful launch of the new app, these stories focus on the fun and magic surrounding one of the world's most popular and well recognized game properties!